Everyone loves a good magic trick, and the success of the first Now You See Me almost felt like one. It had a great cast and premise, but no one could have guessed it would be a breakout hit or merit a sequel. 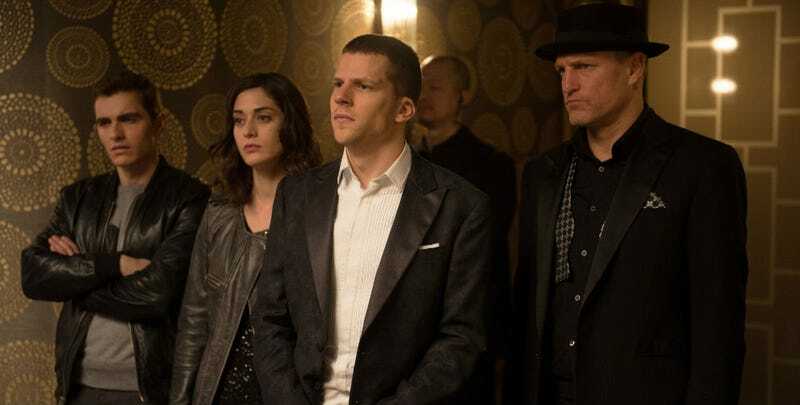 Yet here we are, along with the newest trailer for Now You See Me 2, due June 2nd. This time the film is directed by Jon M. Chu, whose most recent film was Jem and the Holograms. Try not to hold that against him. He got back Jesse Eisenberg, Woody Harrelson, Dave Franco, Mark Ruffalo, and Morgan Freeman for the sequel and has added Lizzie Caplan and Daniel Radcliffe, among others. This time, the Four Horseman—now part of the mythic organization The Eye—are being set up by Freeman, whom they bested last time. The film then goes international as the gang goes to work for Radcliffe’s character, who doesn’t seem like he’s too trustworthy. Basically, it’s a set up for the kinds of twists, turns and spectacle that made the first film so much fun, and hopefully Chu can capture some of that. The trailer feels like they’re on the right track.